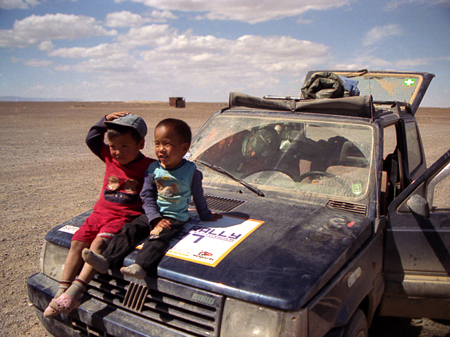 We're team mONgOLIATH, participating in the mongol rally 2007. Our multi-national team (2 Italians, 1 Spaniard and a Scot) are based in both the Netherlands and Italy. We're actively seeking sponsors and you can find out more about the team and follow our progress on the site. If you would like to sponsor us that would be great, and can offer various advertising opportunities to corporate sponsors. We will be supporting Mercy Corps Mongolia and SWORDE-Teppa. You can learn more about the charites and donate direct here. The most up to date information will usually be on the blog page.